Cocoa is about one hour east of Orlando on SR-528, also known as the Martin Andersen Beachline Expressway because it ends up in Cocoa Beach. You go through no Florida towns along the way; it's a straight shot from Orlando to the white sand beaches of Brevard County. We oldtimers knew it as the Beeline Expressway until the PR people got involved. They wanted the Orlando tourists to know where the beach was. They didn't really care if people knew that Martin Andersen was the former publisher of the Orlando Sentinel who helped keep the secret of the land purchases being assembled for Walt Disney World. Cocoa is in the heart of Brevard County and the Space Coast. Take the bridges across the Indian and Banana Rivers and you will be in Cocoa Beach. 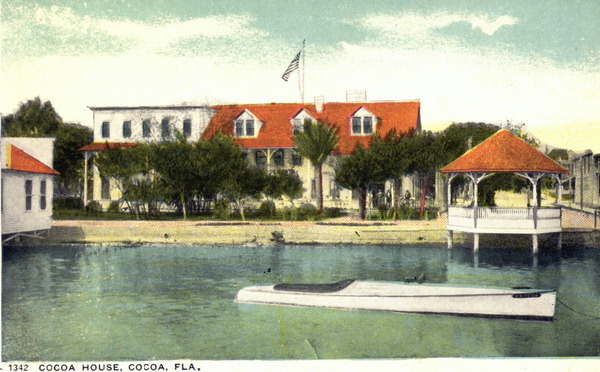 Cocoa was founded by early settlers, mostly fishermen, before the Civil War. The area was first called Indian River City, but the U.S. Postal Department said the name was too long. Several stories still circulate among Cocoa old timers as to how the town got its name. The version I prefer is the one that said the mail used to come by river boat and was placed in an empty tin box labeled Baker's Cocoa. The box was nailed to a piling in the river next to downtown. One of the earliest hotels in the area was Cocoa House. It was located on the Indian River lagoon in downtown Cocoa. The photo below is courtesy of the State Archives of Florida. In any event, the good citizens got the U.S. Postal Department to accept the name, and the rest is history. It has been called Cocoa since 1884. The town was a typical little Florida fishing village until the U.S. government started buying up all the land across the Indian River on North Merritt Island. This was in Sputnik Cold War era of the 1950's, and they would create a huge missile base. Cocoa's population would soon boom and so would Cocoa Beach. Kennedy Space Center changed the nature of Cocoa Florida and Brevard County forever. The County grew from 23,653 people in 1950 to 230,006 by 1970. No other place in the United States had ever grown that fast. It may still be a record. The huge population explosion resulted in a lot of problems. Schools were overcrowded, roads and bridges were congested, and there was a huge housing shortage. The federal government didn't do much to help; it was left to the County and State to solve the problems, along with private developers. Those problems have been largely solved since the bad old days. It is a fun place to visit and a great place to live. Today, in 2010, Brevard County has about 530,000 people. I lived in Brevard County for many years, and have seen much of its transformation. One of the nicest changes has been the rebirth of Cocoa Village. This is the name of downtown Cocoa, and it began to redevelop in the early 1970's. What was then a drab little downtown was converted into a beautiful pedestrian oriented village of shops and restaurants. 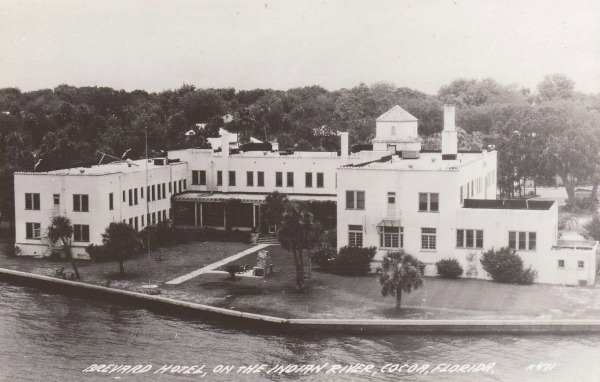 One of the old landmarks that survived for awhile after the development of Cocoa Village was the Brevard Hotel on the Indian River. 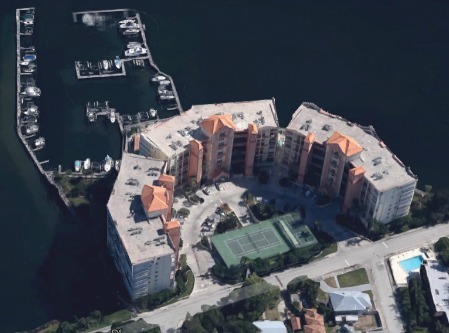 The reborn downtown area attracted several large condominium projects, and the wrecking ball made short work of the old Brevard Hotel and it was replaced by a modern condominium, Oleander Pointe. 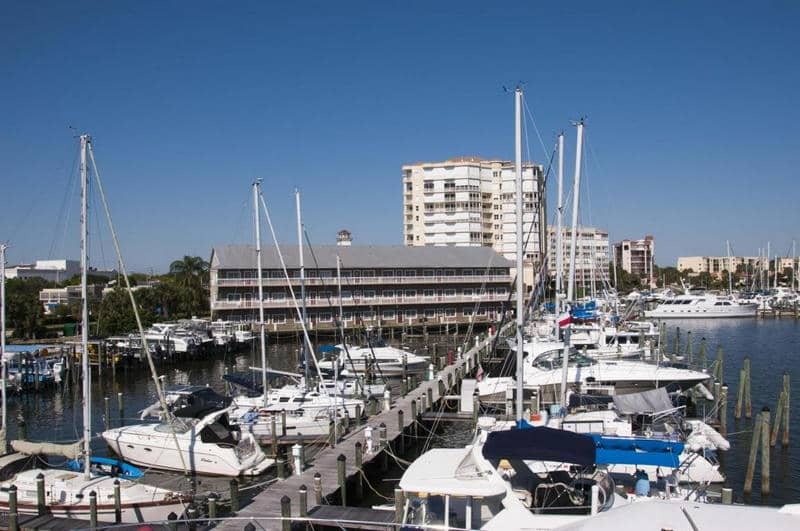 Cocoa is within an easy half hour drive of all major areas of interest in Brevard County. Cocoa Beach is to the east, Rockledge, Melbourne and Palm Bay to the south, and Titusville to the north. Kennedy Space Center is a short drive to the north. The drive along the west side of the Indian River from Williams Point through Cocoa Village and down to Bonaventure is one of the most beautiful stretches of Florida you will ever see. There are many places to stay in Cocoa, Cocoa Beach and Merritt Island. I'll just focus on a couple that I know something about. Brevard Zoo , 8225 North Wickham Road, Melbourne, FL. The zoo is home to more than 550 animals representing 165 species from North and South America, Australia and Africa. 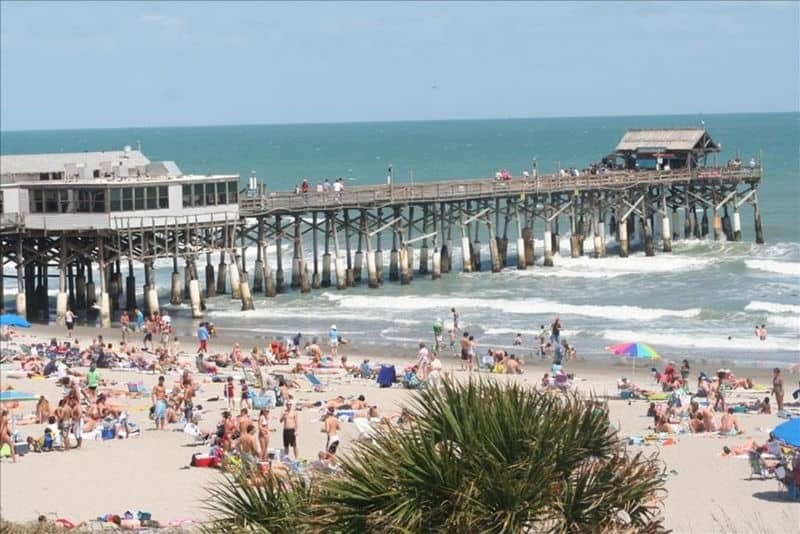 Cocoa Beach Pier, 401 Meade Avenue, Cocoa Beach. A Historical Landmark on the Florida Space Coast. Good shops, food, and people watching. It is one half mile north of SR-520 just off SR-A1A. As mentioned earlier, if you are in Orlando, take the Beach Line to Cocoa. If you are on I-95, take Exit 202 and follow SR-520 east into downtown Cocoa. 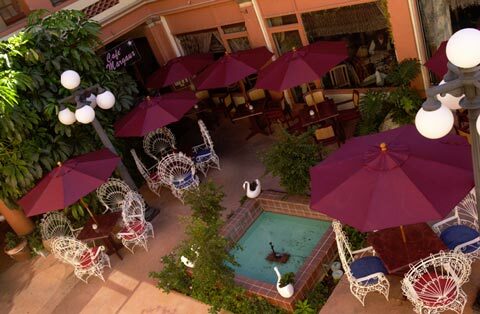 Cafe Margaux is in the heart of Cocoa Village, a great place to take in the sights, shopping, dining and entertainment. When I'm visiting the village, I always try to have lunch or dinner here. It is a great place for fine upscale dining. Even though I've lived in Florida most of my life, I always wear long pants when dining at this upscale restaurant. Depending on the time of year, if it's not too cold or too hot, it's fun to dine outside in their beautiful patio. Everything here is delicious, especially their seafood. You can usually find grouper, salmon and mahi on the menu. They have excellent beef also, with beef tips Diane and filet mignon that is as good as you'll find anywhere. Scallops make a great appetizer, and theirs are deliciously prepared. Each day the chef selects three different fish for their seafood trio, and I especially like it when he has grouper, mahi and salmon available. Their salads are fresh and abundant, with all kinds of pleasant surprises available like goat cheese, pistachios and other nuts, and various citrus fruits. All of the food presentation is magnificent and looks like something you would see in a fine dining magazine. Their wine is also good and affordable. With 4,000 bottles and 400 varieties, their wine selections will satisfy everyone. Their desserts are great especially their Creme Brulee if you are into that sort of thing. The restaurant also hosts many special events. The first Thursday and Friday of each month, they hold a 6 - course dinner and wine tasting with a featured winery and their representative. Wines can be purchased from these representatives at favorable prices. If you are like most of us, you will come back to Cafe Margaux for a second visit and more.